Design :: Designed as a 37’ DWL pure-racing yacht under the RORC rating, she was originally commissioned to represent France in the 1969 Admiral’s cup. 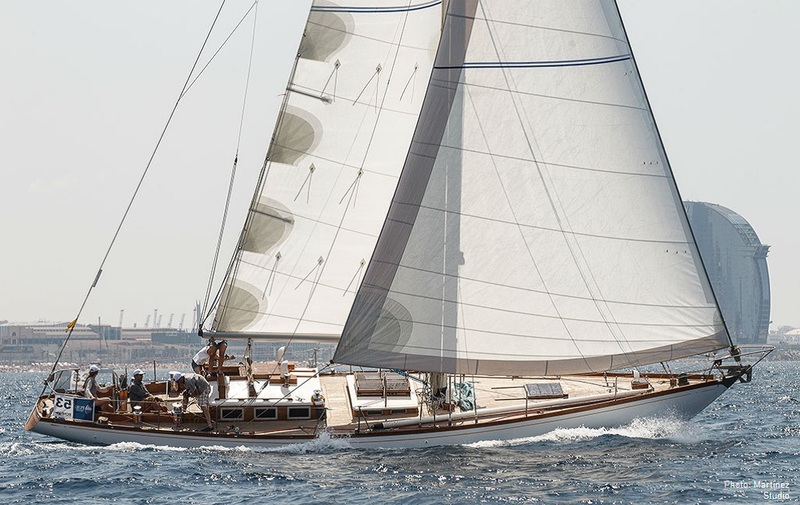 German Frers, during his time at Sparkman & Stephens, drafted most of the lines and with such an illustrious heritage, this design sits at a crossroad between classic yachting and modern racing. Construction :: Built in the D.H. Meeusen shipyard, in Holland, St CHRISTOPHER is of fairly light displacement. The hull construction is mahogany on acacia laminated frames. The skeg rudder with a trim tab was a relatively new feature at the time, whilst the deep “v” shape of the hull still gives her the beautiful sea-keeping ability of a bygone era. Potential :: For many years St CHRISTOPHER was unbeatable on the Mediterranean racing circuit, winning: Giraglia, Championat de France, Marlborough Cup and others. Now, nearly after half a century from her launch our ambition is to bring this thoroughbred back to where she belongs: out in front of the fleet. 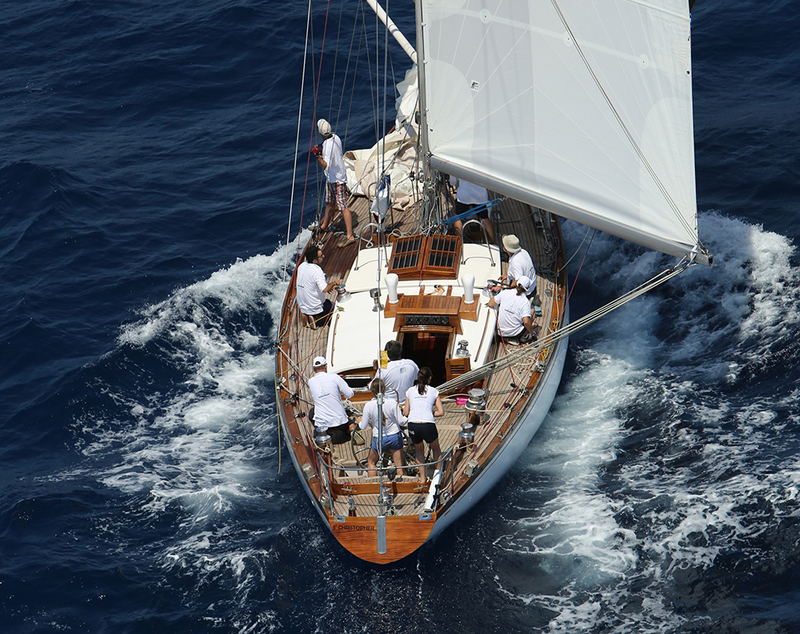 About the rating :: The Mediterranean racing circuit for classic yachts is governed by the CIM regulations. Each yacht wanting to compete needs to be measured and a certificate of handicap issued. This handicap is then used to correct the real-time achieved during racing in order to compare different boats on a quasi-equivalent basis. The CIM rating is a function of a yacht’s ‘speed ‘ related to hull shape, rigging & sails arrangement, and other physical parameters as well as ‘historical’ aspects such as originality of design. From the point of view of naval architecture, there is large scope in how the CIM rating can work to the boat’s advantage. About the challenge :: Our objective is to improve speed performance of St CHRISTOPHER and optimise the CIM rating in order to enhance our results. Number of works took place in 2014 and 2015 such as: modifications to spars and rigging arrangement, (including new extended boom and new racing mainsail), alteration of some deck fittings and installation of a new propeller. In 2016 we have upgraded to Bartel’s new racing forestay and a light genoa specifically designed to the CIM rating. In 2017 new rigging and mast was installed. Navalmartin will continue to undertake a range of theoretical and empirical speed performance studies related to the weight distribution and flotation waterline that will be recorded during the CIM measurements.